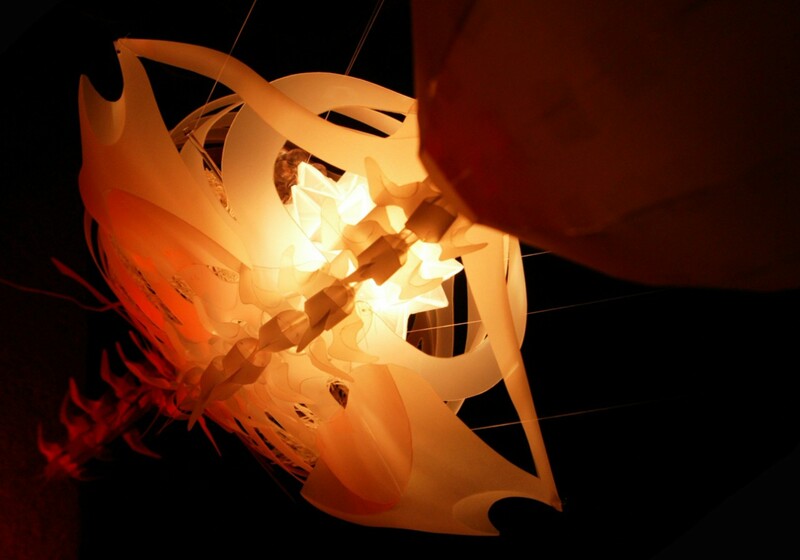 Working under the artistic direction of Three Muses (who also happen to have built my website), commissioned by ‘The Sine Star Project‘ for their album ‘Building Humans’ but unfortunately never used. 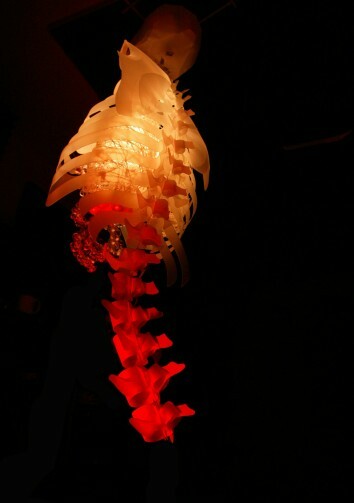 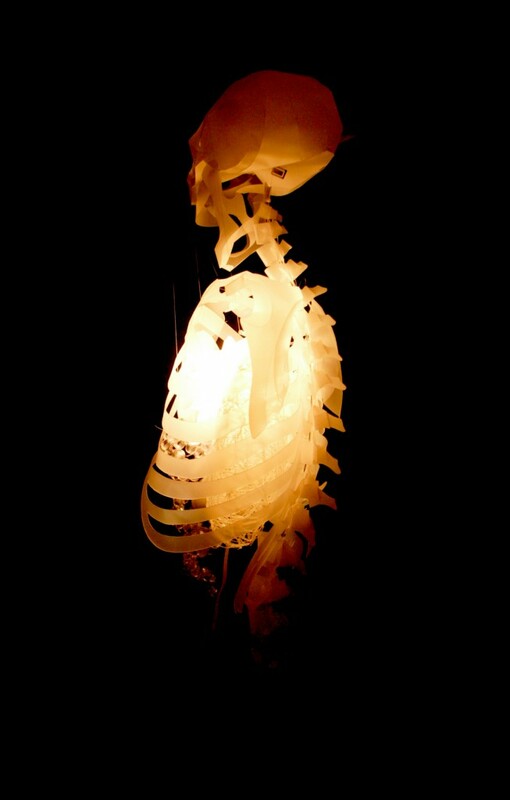 The life-size skeleton was constructed from tracing paper and flexible plastic. 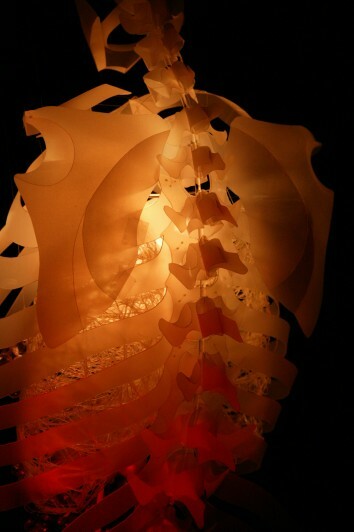 It’s lungs were constructed from transparent mung bean noodles set in PVA. 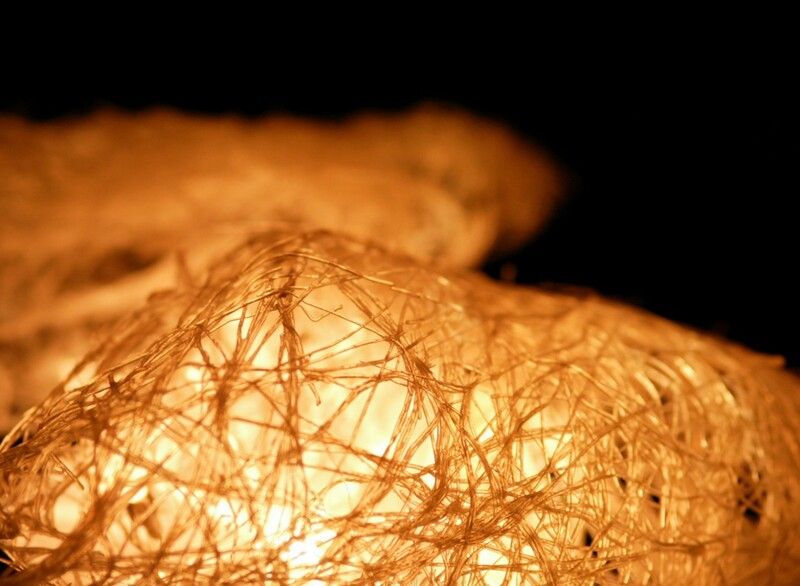 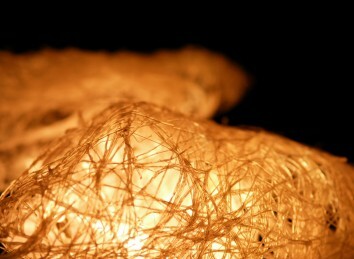 It also has a glowing heart, a light bulb inside a tracing paper, origami, ‘stellated icosahedron’, or to you and I – “star”.